This pH sensor has its own integral housing so that it can be installed into any 1/2″ NPT pipe fitting. No separate housing is needed because the electrode and the threaded housing are built into one unit. Combination glass pH electrode, 12 mm O.D. Combination electrodes are designed such that both the pH measuring electrode and the reference electrode are built into one probe. Ease of handling and small size make this a very popular design. pH sensor is threaded to fit directly into the pipe. Broadley-James pH electrodes are a cost-effective component of hydroponics systems. Whether pH is measured as part of an in-line nutrient dosing unit or the pH of the hydroponics bays is tested manually, the affordable pH electrode is a vital part of a nutrient management system. Broadley-James pH electrodes can be used with nearly all systems that are available on the market. The company has more than two decades of experience in horticultural pH measurement and control applications. Broadley-James pH electrodes are durable and designed for maximum performance. With proper care and maintenance, Broadley-James pH electrodes will continually help maintain optimal growing conditions in hydroponics bays. Accurate measurement of pH is critical to provide precise pH control and dosing of the nutrients to achieve the highest yields. 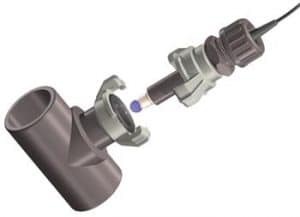 Easy to maintain and exchange when needed, these pH sensors can be quickly replaced to minimize loss in production time. Broadley-James is the most complete source of replacement pH electrodes for hydroponics, and has an extensive selection of pH sensors to fit the most widely used systems. Whether using a conventional housing, the newer twist-lock housing, or measuring pH manually, Broadley-James has pH sensors that are compatible with all brands of electronics and controllers. 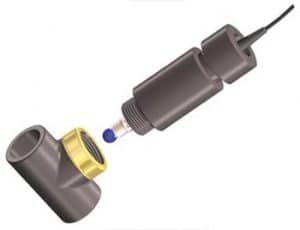 If you do not see your style of pH sensor pictured here, call a Broadley James representative today for further assistance. One of the most common problems that growers encounter with pH sensors in agricultural applications is corrosion of the connectors due to moisture. If the connectors get wet, the output of the sensor will be shorted making calibration of the pH sensor impossible. To prevent the sensor from malfunctioning, it is very important to keep the connectors dry in a water-culture system. 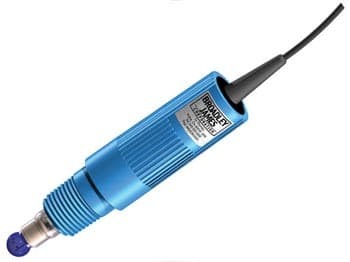 Note: All sensors come standard with a 10 foot (3 meter) low noise coaxial cable and either a BNC Plug or a crimped Ferrule connector. To order a sensor with the fully ferruled connector, simply change BC to FF at the end of any sensor part number.